Professor David Hill has made highly distinguished contributions to the scientific study of smoking cessation and health behaviour change, and to the application of psychological research to cancer prevention and health policy. After graduating from the University of Melbourne with a Bachelor of Arts, David Hill became Education Director of Cancer Council Victoria, an organisation with which he has been associated for over 50 years. Acquiring Master of Arts and PhD degrees from the University along the way, he took on a series of leadership roles within the Council, serving as the Founding Director of the ground-breaking Centre for Behavioural Research in Cancer. In 2002 he became the Director of Cancer Council Victoria, a position he held for a decade. Concurrently he has been a Professorial Fellow at the University of Melbourne in both the School of Population and Global Health and the School of Psychological Sciences. David Hill’s leadership in the behavioural science of cancer prevention has been nationally and internationally prominent. In Australia, he played key roles in the influential Slip-Slop-Slap and SunSmart skin cancer prevention campaigns, also chairing the federal Ministerial Tobacco Advisory Group and National Expert Committee on Tobacco, and leading the National Tobacco Campaign. These campaigns led the world in innovation and effectiveness. From 2006 to 2012 David Hill served on the Board of the International Union Against Cancer and he was its President from 2008 to 2010. As a scientist, David Hill is well known for his research on population-wide health behaviour change, the effectiveness of health warnings and mass media interventions, improving cancer screening and treatment adherence, historical changes in health risk behaviours, and the psychological experiences and needs of cancer survivors and their caregivers. He has produced more than 200 scientific publications, which have appeared in leading international medical, psychological, and public health journals, and won major research grants totalling almost $15 million. David Hill is a member of the University of Melbourne Alumni Council and sits on the Board of the Jack Brockhoff Foundation. He has served on both the Research Committee and Health Advisory Committee of the National Health and Medical Research Council and has served on many national and international committees and task forces in cancer prevention, healthy eating, addiction, and asthma. He continues to be actively engaged in research and mentorship, and serves on the editorial boards of significant international journals. Among his many honours are Member of the Order of Australia (2001), Officer of the Order of Australia (2009), an honorary Doctor of Medicine from the University of Newcastle (2010), and the Ian Matthew Campbell Prize in Clinical Psychology of the Australian Psychological Society. He is a Fellow of the Australian Psychological Society. 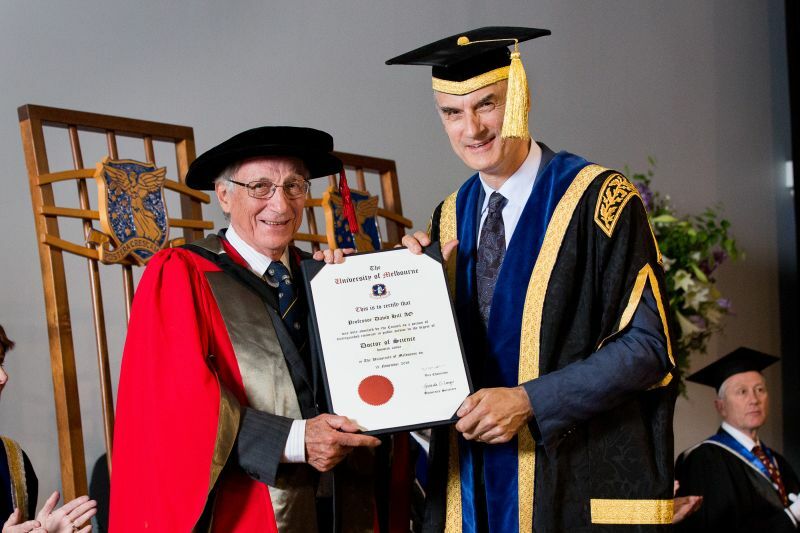 Professor David Hill is recommended for the award of Doctor of Science (honoris causa) for his distinguished contributions to scientific knowledge and health policy in relation to cancer, work that has advanced our understanding of the drivers of health behaviour and saved countless lives.